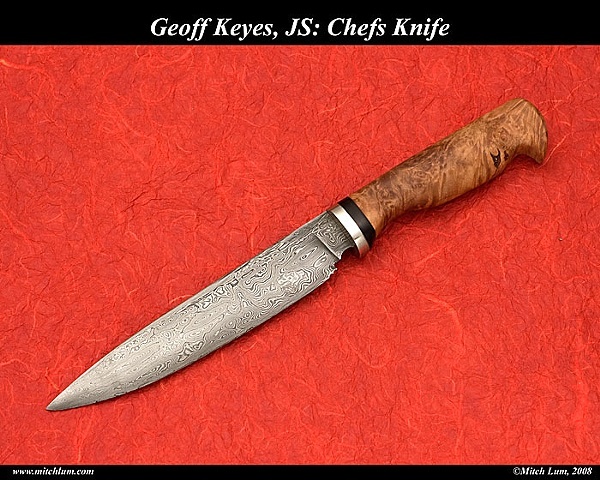 Part of a set of 3 Damascus kitchen knives. A 7 inch blade, NS guard and ebony spacer with a stabilized maple burl handle. These are just as nice today as the day I delivered them.